Targeted at 688,000 social network users in Hong Kong and nearly 27,000 viewers through Mediazone's E-mail Marketing. Connoisseurs of fine timepieces have reason to celebrate. Global favourite Revue Thommen (the brand that precision pilots swear by) has made a comeback, thanks to the will and vision of an exemplary watchmaker who is well regarded for the one trait that few watch brands bring to the market – he thinks like a customer! An officer and a gentleman, Roland Buser is widely held in Hong Kong for his knowledge of the trade, his passion for exquisite timepieces and his deft understanding of the market. 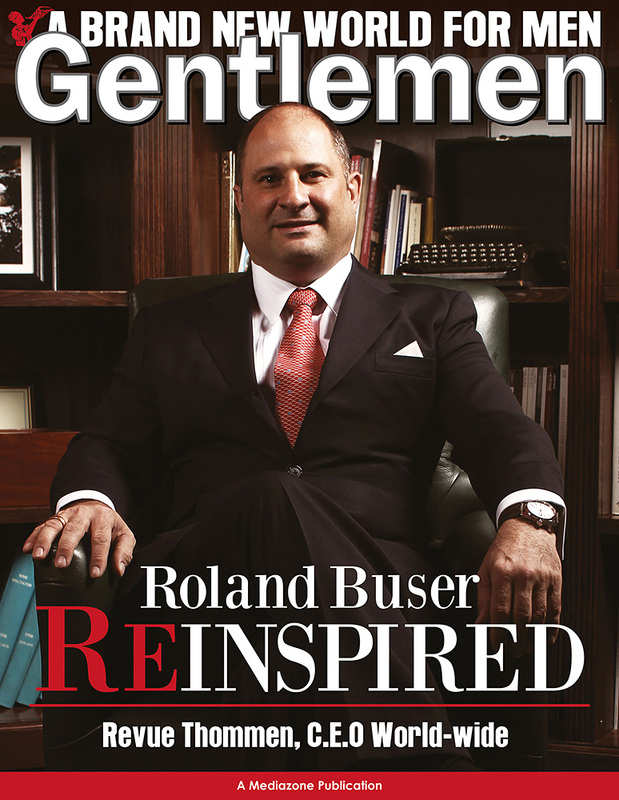 An entrepreneur at heart, Buser’s attitude toward watchmaking has put him in a class of his own. His understanding of ‘customer’s expectations’, appreciation of the retail market and its challenges, art of product presentation and commitment to customer service, all make him a sound value proposition. 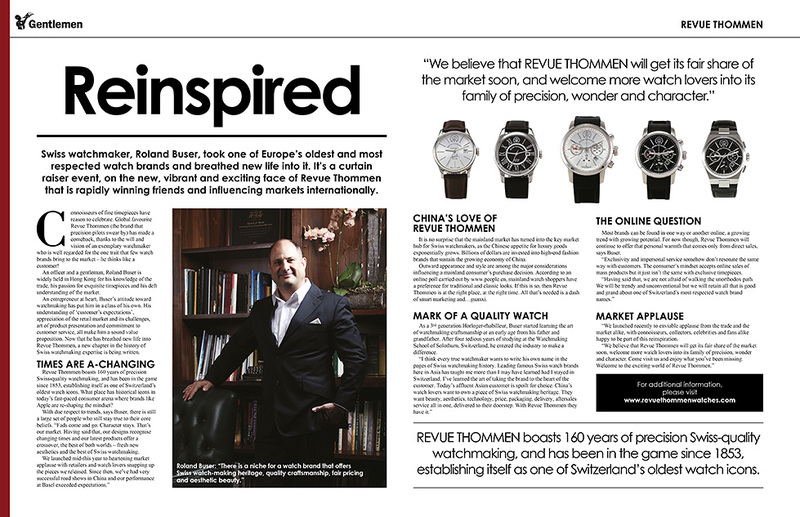 Now that he has breathed new life into Revue Thommen, a new chapter in the history of Swiss watchmaking expertise is being written. Revue Thommen boasts 160 years of precision Swiss-quality watchmaking, and has been in the game since 1853, establishing itself as one of Switzerland’s oldest watch icons. What place has historical icons in today’s fast-paced consumer arena where brands like Apple are re-shaping the mindset? With due respect to trends, says Buser, there is still a large set of people who still stay true to their core beliefs. “Fads come and go. Character stays. That’s our market. Having said that, our designs recognise changing times and our latest products offer a crossover, the best of both worlds – fresh new aesthetics and the best of Swiss watchmaking. It is no surprise that the mainland market has turned into the key market hub for Swiss watchmakers, as the Chinese appetite for luxury goods exponentially grows. Billions of dollars are invested into high-end fashion brands that sustain the growing economy of China. Outward appearance and style are among the major considerations influencing a mainland consumer’s purchase decision. According to an online poll carried out by www.people.cn, mainland watch shoppers have a preference for traditional and classic looks. If this is so, then Revue Thommen is at the right place, at the right time. All that’s needed is a dash of smart marketing and…guanxi. As a 3rd generation Horloger-rhabilleur, Buser started learning the art of watchmaking craftsmanship at an early age from his father and grandfather. After four tedious years of studying at the Watchmaking School of Solothurn, Switzerland, he entered the industry to make a difference. Most brands can be found in one way or another online, a growing trend with growing potential. For now though, Revue Thommen will continue to offer that personal warmth that comes only from direct sales, says Buser. “Exclusivity and impersonal service somehow don’t resonate the same way with customers. The consumer’s mindset accepts online sales of mass products but it just isn’t the same with exclusive timepieces. 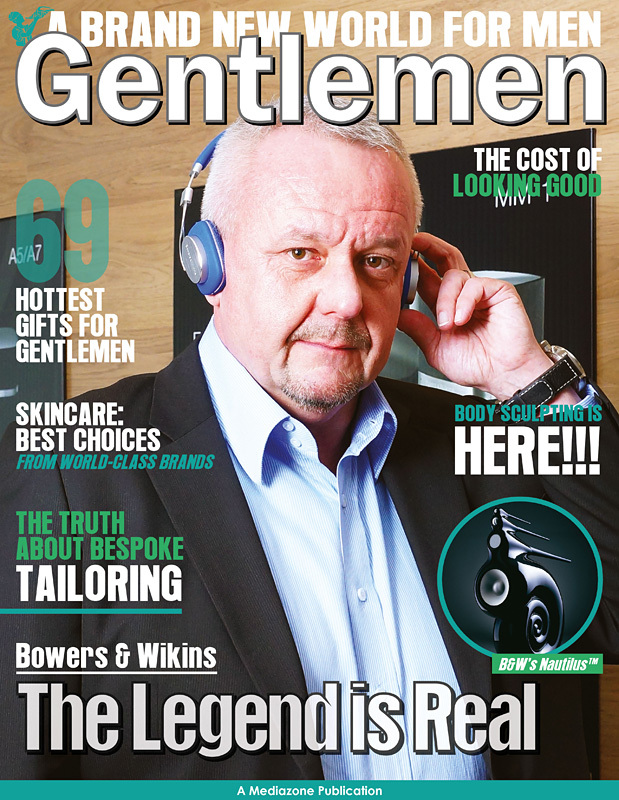 “We launched recently to enviable applause from the trade and the market alike, with connoisseurs, collectors, celebrities and fans alike happy to be part of this reinspiration. The respected British brand, B&W, has pioneered acoustical engineering since its formation in 1965. Famous for kitting out the legendary Abbey Road Studios for over 25 years, B&W's highly coveted luxury products have hit a sweet note with audiophiles around the world. 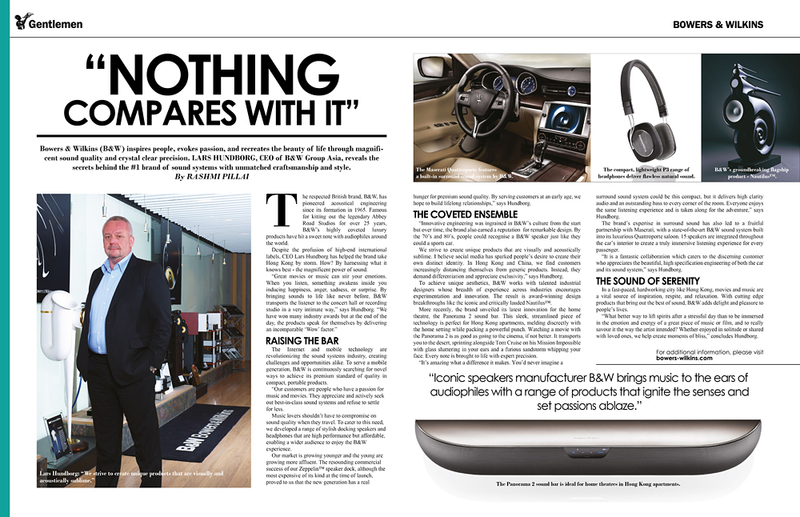 Despite the profusion of high-end international labels, CEO Lars Hundborg has helped the brand take Hong Kong by storm. How? By harnessing what it knows best - the magnificent power of sound. "Great movies or music can stir your emotions. When you listen, something awakens inside you inducing happiness, anger, sadness, or surprise. By bringing sounds to life like never before, B&W transports the listener to the concert hall or recording studio in a very intimate way," says Hundborg. "We have won many industry awards but at the end of the day, the products speak for themselves by delivering an incomparable 'Wow' factor." The Internet and mobile technology are revolutionizing the sound systems industry, creating challenges and opportunities alike. To serve a mobile generation, B&W is continuously searching for novel ways to achieve its premium standard of quality in compact, portable products. "Our customers are people who have a passion for music and movies. They appreciate and actively seek out best-in-class sound systems and refuse to settle for less. Music lovers shouldn't have to compromise on sound quality when they travel. To cater to this need, we developed a range of stylish docking speakers and headphones that are high performance but affordable, enabling a wider audience to enjoy the B&W experience. Our market is growing younger and the young are growing more affluent. 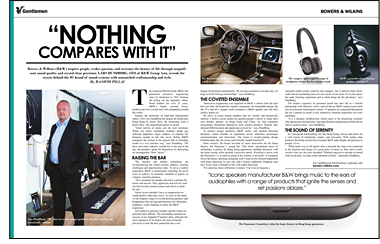 The resounding commercial success of our Zeppelin™ speaker dock, although the most expensive of its kind at the time of launch, proved to us that the new generation has a real hunger for premium sound quality. By serving customers at an early age, we hope to build lifelong relationships," says Hundborg. "Innovative engineering was ingrained in B&W's culture from the start but over time, the brand also earned a reputation for remarkable design. By the 70's and 80's, people could recognise a B&W speaker just like they could a sports car. We strive to create unique products that are visually and acoustically sublime. I believe social media has sparked people's desire to create their own distinct identity. In Hong Kong and China, we find customers increasingly distancing themselves from generic products. Instead, they demand differentiation and appreciate exclusivity," says Hundborg. To achieve unique aesthetics, B&W works with talented industrial designers whose breadth of experience across industries encourages experimentation and innovation. The result is award-winning design breakthroughs like the iconic and critically lauded Nautilus™. More recently, the brand unveiled its latest innovation for the home theatre, the Panorama 2 sound bar. This sleek, streamlined piece of technology is perfect for Hong Kong apartments, melding discreetly with the home setting while packing a powerful punch. Watching a movie with the Panorama 2 is as good as going to the cinema, if not better. It transports you to the desert, sprinting alongside Tom Cruise on his Mission Impossible with glass shattering in your ears and a furious sandstorm whipping your face. Every note is brought to life with expert precision. "It's amazing what a difference it makes. You'd never imagine a surround sound system could be this compact, but it delivers high clarity audio and an outstanding bass to every corner of the room. Everyone enjoys the same listening experience and is taken along for the adventure," says Hundborg. The brand's expertise in surround sound has also led to a fruitful partnership with Maserati, with a state-of-the-art B&W sound system built into its luxurious Quattroporte saloon. 15 speakers are integrated throughout the car's interior to create a truly immersive listening experience for every passenger. "It is a fantastic collaboration which caters to the discerning customer who appreciates the beautiful, high specification engineering of both the car and its sound system," says Hundborg. In a fast-paced, hardworking city like Hong Kong, movies and music are a vital source of inspiration, respite, and relaxation. With cutting edge products that bring out the best of sound, B&W adds delight and pleasure to people's lives. "What better way to lift spirits after a stressful day than to be immersed in the emotion and energy of a great piece of music or film, and to really savour it the way the artist intended? Whether enjoyed in solitude or shared with loved ones, we help create moments of bliss," concludes Hundborg. Fun Feet Reflexology Center Rude Bar And Lounge Tattoo Temple Vocal Stage AnnJema Furrenz Pet Sitters MBL Wine Group Empire International Custom Tailors Ltd.